On the evening of Tuesday, July 2nd, I observed the History of America Mega-Conference at the Radisson Hotel Harrisburg in Camp Hill, PA. The event is sponsored by Vision Forum, a ministry with a strong Christian Patriarchy slant that focuses strongly on "Biblical education" for children. The History of America Mega-Conference features workshops on the past four-hundred years of American history, filtered through a conservative Christian lens. (More here.) The description of the event at the Vision Forum website left no ambiguity about the conference's agenda. "Are you and your children equipped to answer the politically-correct, historical revisionism that dominates higher academia and the mass media today — to defend our nation’s godly heritage with nuance and precision against the fierce onslaught of secular skepticism? 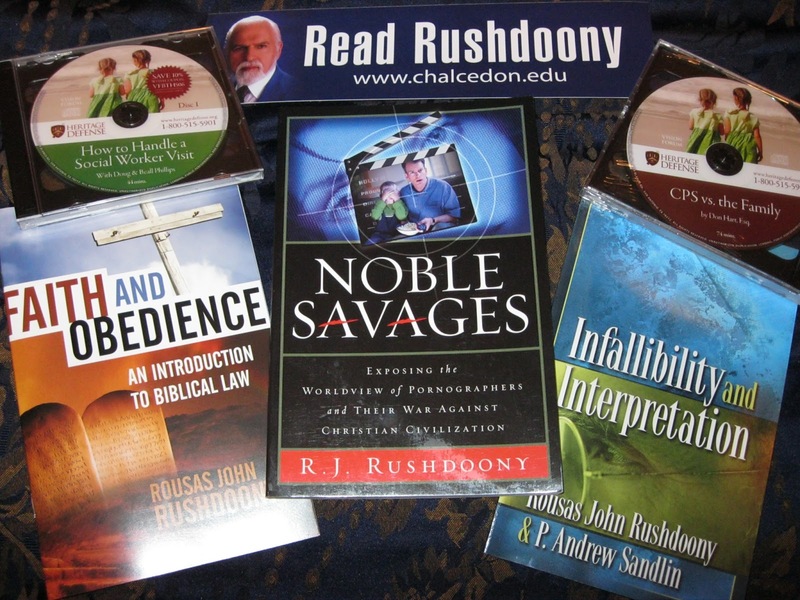 Antagonists to the Christian faith are stealing our history, and it’s time we take it back. The engaging messages given at this conference will arm your family with the truth to combat the lies of the Left — to have a sure foundation for the 21st century." This week marks the 150th anniversary of the Battle of Gettysburg, and given the proximity of Camp Hill to Gettysburg, many attendees dressed in Civil War era costumes. The costumes, while lovely, made navigation tricky. I almost fell over a woman's enormous hoop skirt, then got accidentally whacked in the knee by a scabbard swinging from a passing man's belt. When did Religious Right events become this hazardous!? I thought. About a dozen vendors were manning tables at the conference -- mostly books, DVDs, and homeschooling curricula -- and their titled amused me. The National Center for Family-Integrated Churches seemed keen on gender roles, judging by book titles such as Preparing Boys for Battle and Feminine By Design. 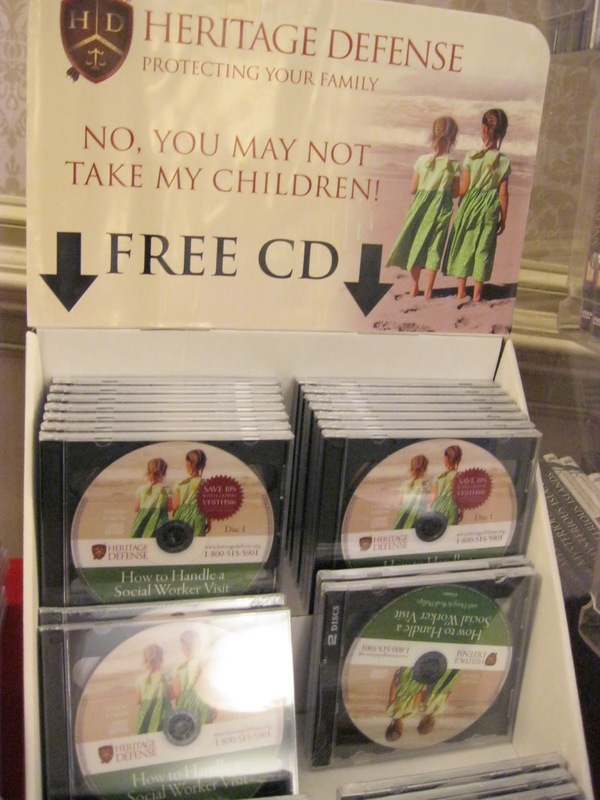 At the Vision Forum merchandise table, alongside toy guns, toy swords, and books such as Large Family Logistics were DVDs with titles such as Tea with Michelle Duggar and Birth Control: How Did We Get Here?, a video on the evils of "child prevention". I chuckled at the title of a video on food culture, Food Heresies: How to Reform Our Theology of Food Without Becoming a Selfish Marxist, a Radical Environmentalist, or an Imbalanced Vegan. Suggesting that mandatory reporters and anonymous tipsters are "threats" casts child abuse reporters as troublemakers rather than responsible citizens. To boot, the branding of children who seek help from CPS as liars or "rebellious, disobedient, or indiscreet" made me shudder. When child abuse occurs in fundamentalist families, where can victims find refuge if they've been taught that CPS is monstrous and that those who report are wrongheaded? When fundamentalists witness or suspect child abuse, could rhetoric like this make them reluctant to do the right thing? CPS is by no means perfect, but it does protect children from abuse and neglect, and thus this kind of demonization benefits no one. To be fair, everyone I met was gentle and helpful, and the families I observed treated their children with warmth. I struggled to reconcile these kindly people with the jarring messages I would hear from workshop speakers. It wasn't just the workshop content that gave me pause -- although polemic workshop titles such as "Why 19th Century American Literature Was at War with God" and "The Rise of Religious Liberalism" left me scratching my head -- but the presenters of those workshops as well. I wondered how the women felt about a conference with only male presenters, or how anyone felt about a conference with all white presenters. Stay tuned for posts on Doug Phillip's opening speech and Wednesday's workshops! For more information on Vision Forum's History of America Mega-Conference, click here. So, the crowd that believes the Earth is 6,000 years old and denies evolution is now going to give us "the truth" about US history. Figures. And it's no surprise that they're so down on CPS. If they're getting into spanking their wives, there's no telling what they think is OK to do to the kids. Infidel -- Yeah, it's pretty ironic. As I observed from various workshops on Tuesday and Wednesday, their view of history is rather ... suspect. Given that the Christian Patriarchy Movement (and fundamentalism in general) is so much about power and control, I guess the hostility toward CPS shouldn't surprise me. approximately how many people were attending? Anonymous -- Several thousand at least. Thank you for acknowledging that "...everyone I met was gentle and helpful, and the families I observed treated their children with warmth." Perhaps Christians seeking sincerely to understand God and His Word (even while admitting that there are many difficult issues without clear agreement among Christians) are not the monsters you often make us out to be. I applaud you for being so diligent in your quest for knowledge about Christians to attend this conference. That quest, however, will never be complete or as meaningful to you as it might be, until you take off your own multi-coloured glasses and attempt to understand what you are seeing from a less hostile perspective. For example, just before you praised the demeanor of those you met, you criticized Christian women for dressing in dresses and skirts, wrongly ascribing such dress to a culture of submission to men. Yet most ladies today understand differntiations of dress that cause them often to opt for dresses and the like for more formal occassions such as weddings, funerals, nights out at an upscale restaurant, and so forth. If the wearing of dresses in such instances is seen as a matter of classic style and decorum, why is it poo-pooed for daily living? Maybe this is one area in which you ought rather to praise Christian women for choosing to display their innate beauty rather than hiding it with unflattering, gender-neutral options of the Wal-Mart ilk. I understand many of your criticisms. Most of us couldn't afford the types of houses Weir talks about, and the literature from Heritage Defense does indeed seem scary when viewed from "outside". Yet, your assesments aren't always fully informed. Just because we can't all afford the "ideal" home doesn't mean that we shouldn't be more thoughtful about how we organize our home life, or even, more basically, the fact that we strive to have a home life at all. And hard-working, upright, loving Christian families have, on many occasions, been subjected to abuses at the hands of CPS, at times facing the yanking of their children from the home without just cause. The work of Heritage Defense becomes just a bit more understandable when all the facts are known and considered. Again, thank you for taking the time to listen in on the conference. I hope that, in some way, you were challenged to reconsider whether Christians may not be as full-tilt out of it as you like to pretend. BTW, I selected Anonymous because I don't have any of the profiles listed. My name is Travis M Childers, and this is my first visit to your site. Blessings.